If the objective was to further isolate the U.S., the two officials could not have done a better job last week, writes Patrick Lawrence. What a job Vice President Mike Pence and Secretary of State Mike Pompeo did in Europe last week. If the objective was to worsen an already critical trans–Atlantic rift and further isolate the U.S., they could not have returned to Washington with a better result. We might have to mark down this foray as among the clumsiest and most abject foreign policy failures since President Donald Trump took office two years ago. 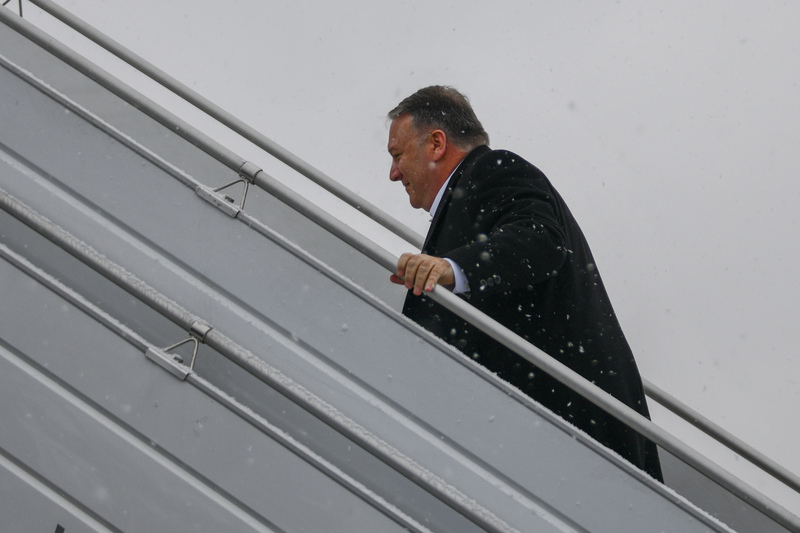 Pence and Pompeo both spoke last Thursday at a U.S.–sponsored gathering in Warsaw supposedly focused on “peace and security in the Middle East.” That turned out to be a euphemism for recruiting the 60–plus nations in attendance into an anti–Iran alliance. “You can’t achieve peace and stability in the Middle East without confronting Iran,” Pompeo said flatly. The only delegates this idea pleased were Benjamin Netanyahu, the Israeli prime minister, and officials from Gulf Arab nations who share an obsession with subverting the Islamic Republic. Pence went on to the annual security conference in Munich, where he elaborated further on a few of the Trump administration’s favored themes. Among them: The Europeans should ditch the nuclear accord with Iran, the Europeans should cut off trade with Russia, the Europeans should keep components made by Huawei and other Chinese companies out of their communications networks. The Europeans, in short, should recognize America’s global dominance and do as it does; as if it were still, say, 1954. It is hard to imagine how an American administration can prove time and again so out of step with 21stcentury realities. How could a vice-president and a secretary of state expect to sell such messages to nations plainly opposed to them?